Throughout the various and vast churches across the country, there are great Choirs, Worship Teams, Directors and musicians. Many churches have pastors who not only have a calling and anointing to deliver God's word, but, they also have an extraordinary gifting in music. Alyne E. Waller, Senior Pastor of Enon Tabernacle Baptist Church in Philadelphia, PA is one of those pastors. Pastor Waller is a gifted musician and vocalist. His musical transference is evident at his thriving, multi-location church whose Music Ministry has garnered 3 Stellar Award nominations for the album DR. ALYN E. WALLER Presents ENON TABERNACLE THE EXPERIENCE (2015). The church also has a growing record label, Enon Music Group, that has been releasing Billboard charting albums including Pastor Waller's own albums. His CHRISTMAS WITH ALYN E. WALLER landed on the Billboard Top Gospel Album Charts last year. 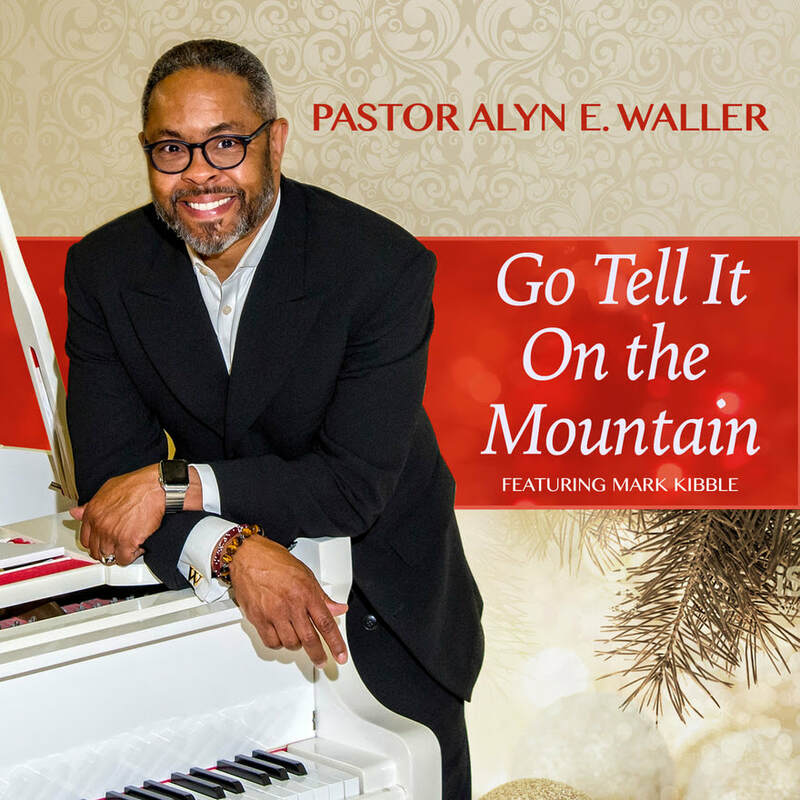 Pastor Waller is releasing a new Christmas single, "Go Tell It On The Mounting", that is a jazzy and soulful arrangement of the iconic seasonal hymn. His remake of this classic features the signature stylings of Mark Kibble from the multiple Grammy Award winning group Take 6. I chose to record 'Go Tell It On The Mountain" because there is so much confusion in our society around the reason for our celebrations during this time of year," says Pastor Alyn E. Waller. "I wanted to lift high my conviction that Jesus Christ is alive. What an awesome experience adding some vocal flavor to the mix of a great arrangement," Mark Kibble shares. "It was indeed an honor to work along side the greatness of Pastor Waller, Garland Miche Waller, Dennis Atkinson, and all involved! Many blessings! ​"Go Tell It On The Mountain"is produced by hit maker Garland "Miche" Waller and brilliantly arranged by Austin Woodlin. Miche Waller has taken on the production of music and leadership of Enon Music Group and is Director of Music at Enon Tabernacle Baptist Church. Pastor Waller once again delivers music the ignites the spirit of the season and ministers to the hearts of listeners. Miche and Pastor Waller's level of musical excellence resinates throughout their church, and now throughout the world. Pastor Waller invites everyone to enjoy all of the Christmas releases from Enon Music Group - "Hark: A Christ'mas Song" by Charles "Clef" Lundy and A RHYME & REASON CHRISTMAS by Various Artists. Celebrate life, God's love and The Birth of Jesus Christ, the true light of the season and of the world. GRAMMY season is officially upon us with the announcement of the 2018 nominees. This year’s category features some surprises and some well deserved recognition. The gospel category seems to always leave the category open to questioning for some, but for others a sobering reminder of the gulf that exists between the GRAMMYs, Billboard Awards and the Stellar Awards, respectively. Gospel music is in the middle of an evolution. The doors are wide open as one sound is ushered out and another welcomed ‘home’. Gospel artists are making music that sounds like and appeals to church, once again. The 2018 GRAMMY gospel category is somewhat reflective of that with this year’s nominees. The Recording Academy can’t go wrong with either artist chosen as a winner. These artists and their work is phenomenal and have each connected with their fans and overall listeners on such a level, that has driven gospel music back to alerting heights! Koryn Hawthorne didn’t win on “The Voice” but she made a promise to God that if she was able to return to that level of exposure, she would only use her voice for Him. Isn’t it amazing to see how richly God rewards those that honor Him? Many people first heard “Won’t He Do It” on the groundbreaking series “Greenleaf” on OWN. Since initially airing on the weekly drama, the song has taken on a life of its own, landing on this year’s GRAMMY nominations list! Remember Jonathan McReynolds‘ “Cycles” challenge that had everybody trying that ridiculously difficult ad-lib at the beginning of the song? Everybody ‘tried it’, but few came close! Jekalyn Carr released a book by the same title as her anthem “You Will Win” and people all over the world declared themselves ‘winners’ right along with her! Carr celebrated her first Dove Award win earlier this year. A GRAMMY win would be great for the young singer who has found herself in the same categories with legends and current contemporary leaders in Billboard, Stellar and GRAMMY award consideration! Contemporary Gospel Sounds Different Today, Is That Bad? Tori Kelly surprised everyone with a gospel album, but she made it clear that this album is genuine and from her heart. She celebrates both a “Best Song” and “Album of the Year” nomination, this year! The Walls Group has somewhat quietly become industry stalwarts. In short order, they’ve reached ‘the other side’ of their young career, their parents, college graduates, and seeing life through their own lens now. Their content reflects their maturation. No longer just ‘kids who can sing’, The Walls Group is here to make a statement! They can still sing anything and as a group harmonize better than any assemblage, to date. Well, let’s just say their vocal prowess is reminiscent of what we love in the Winans and The Clark Sisters! Their nomination is well deserved and truly earned! What can I say about Brian Courtney Wilson??? One listen to his album and I was inspired to write! Literally…I had an epiphany as I listened to his album and it was this: his music is for grown up believers. Not by age, but in spiritual maturity! Ruminate on that for a moment. So much music is made and it lives on the surface of Christianity, but his music and especially “A Great Work” exists on such a higher plane that the listener is both changed and challenged! Something listeners have clamored for, for years! His nomination in both categories is a ‘tip of the cap’ in regard to the great work of his latest album, “A Great Work“. As stated earlier, the Recording Academy has quite the job on their hands this year, and I couldn’t be more glad! To see a full list of all the nominees, visit the GRAMMY website. 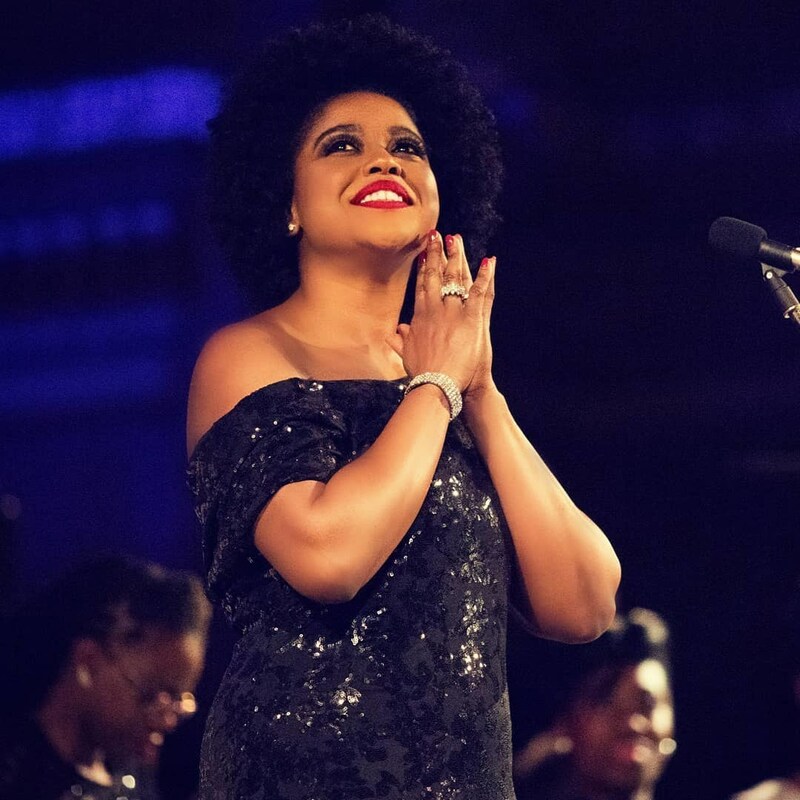 Millions know Audrey DuBois Harris on the world stage for her extraordinary vocal abilities in opera, classical, jazz, sacred, gospel, and inspirational music. She is also known as the President’s Soloist [Barack Obama]. Audrey sang at Aretha Franklin’s Celebration of Life service; and received rave reviews globally after her performance. 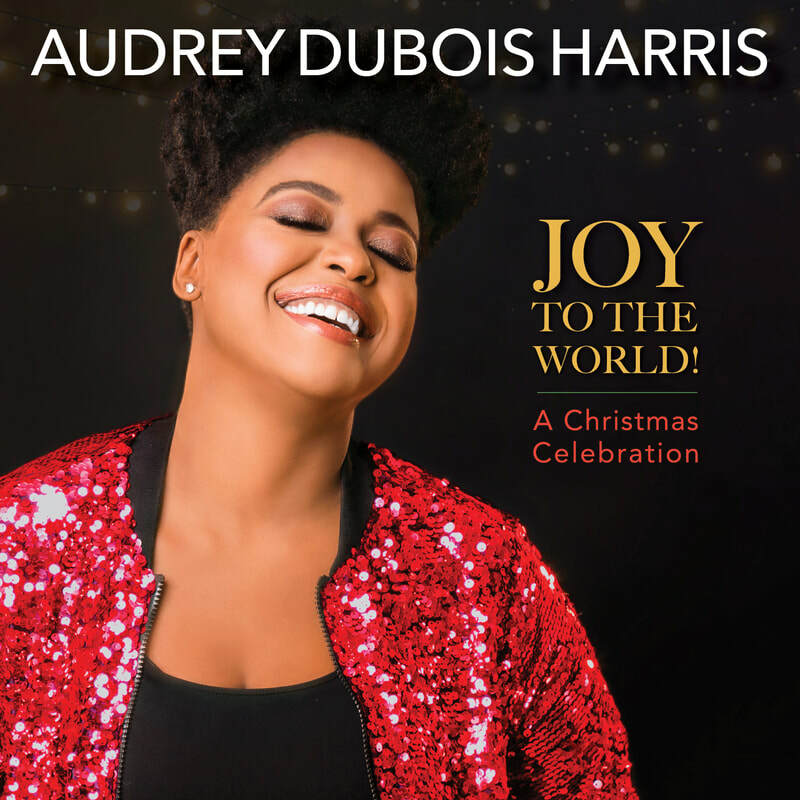 In fact, Aretha Franklin was in negotiations to manage Audrey before she became ill.
​World-renowned classical artist Audrey DuBois Harris released her first full-length holiday collection with JOY TO THE WORLD! A Christmas Celebration on Black Friday, November 23, 2018, on her imprint, Noble World Records. The album consists of ten Christmas favorites with one bonus track, all arranged and produced by DuBois Harris. Each song specifically celebrates the birth of Christ, with unique arrangements spanning Classical, Latin, Caribbean, Gospel, Americana, and more. Throughout, these holiday favorites are enlivened by DuBois Harris’ powerful soprano voice, which combines crystalline clarity with an impressive range and sinuous soulfulness. The result is a refreshingly new take on familiar holiday fare. JOY TO THE WORLD! A Christmas Celebration will be available on iTunes, and Amazon, and other digital music platforms worldwide. I wanted all the songs I chose to have a Christ-centered focus. That’s why I opened the CD with ‘Oh Come, Oh Come, Emanuel,’” explains DuBois Harris, a Juilliard graduate who has performed in operas and recitals in the U.S. and abroad. “The first word you hear is ‘Rejoice,’ which is the message of the album. I believe Christmas is about Christ, love, joy, giving, family, friends, and togetherness. Christ is the reason for the season. ​She has performed on several occasions as “The President’s Soloist,” [Barack Obama] singing the National Anthem, as well as at “Christmas at The White House;” she has performed both the American and Canadian national anthems for The U.S. Consulate General Montréal on many occasions. DuBois Harris has also performed many operatic roles in the U.S. and abroad, including Mimi inLa Bohéme, the title role in Aïda, Micaëla in Carmen, Countess Almaviva in The Marriage of Figaro, and Bess in Porgy & Bess. DuBois Harris’ debut album, Testimony, was released in 2012. A soaring collection of inspirational music and hope-filled hymns,Testimony was produced and recorded with Jerroll Lehman (producer/orchestrator) and Damien Sneed (pianist/co-arranger). For more information, please visit www.audreyduboisharris.com. Here, you'll find a compilation of gospel music news hosted in conjunction with our media partner, SMG. To read previously published gospel news stories, click here.